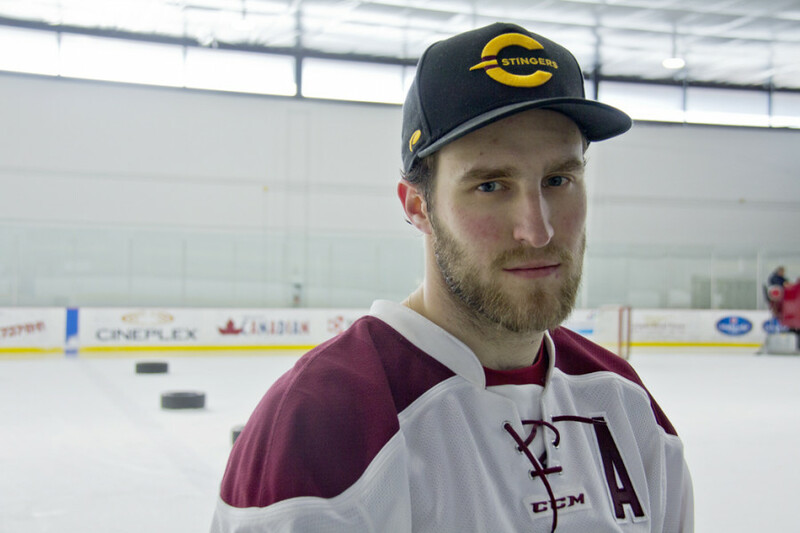 The Concordia Stingers men’s hockey team announced that Philippe Hudon was named captain for the 2017-18 Ontario University Athletics season on Thursday. Via their Twitter account, the Maroon and Gold posted a photo of the fourth year forward in the Concordia locker room sporting the C on his jersey. Hudon replaces three-year captain Olivier Hinse, who has since graduated and joined the Aalborg Pirates of the Danish Metal Ligaen. The Montreal native, who was drafted in the fifth round by the Detroit Red Wings in the 2011 NHL Draft, recorded three goals and 11 assists in 21 games for the Stingers last season.